TEMECULA VALLEY UNIFIED SCHOOL DISTRICT. Administrative Law Judge (ALJ) Robert F. Helfand, Office of Administrative Hearings (OAH), State of California, heard this matter in Temecula, California, on September 11, 12, 13, 17 and 18, 2012 and October 5, 2012. Wendy Housman, Attorney at Law, represented Parents on behalf of Student (Student). Student’s father (Father) was present throughout the hearing as was Theresa Sester, an advocate. Sarah W. Sutherland, Attorney at Law, represented the Temecula Valley Unified School District (District). Kimberly Velez, District Director of Special Education, also attended throughout the hearing. Melanie Hertig, Assistant Director of Special Education, and Amy Koers, Attorney at Law, were also present at times during the hearing. At the hearing, the ALJ received oral and documentary evidence. The following witnesses testified at the hearing: Father; Maureen Nixon; Kevin Groepper; Lynne Hardy-Lukes; Michele Cooper; Leslie Huscher; Gwen Riley; Sandy McKay; Breck Smith; Theresa Sester; Todd Barrowcliff; and Marie Owens. At the request of the parties, the record remained open for the submission of written closing and rebuttal arguments. The parties filed their closing briefs on October 29, 2012. Rebuttal closing briefs were filed on November 2, 2012, when the matter was submitted. 1 In the Prehearing Order, this issue also included timeliness. Because the Student failed to offer any evidence or argue this issue in his closing written brief, the issue has been reformulated to exclude timeliness. a) Whether the District has failed to provide Student a free appropriate public education (FAPE) during school year 2011-2012 in that the District failed to (1) provide Student instruction in the core curriculum subjects of science and social studies, and (2) provide appropriate language and speech (LAS) services? b) Whether the District denied Student a FAPE because the District denied Student’s parents (Parents) meaningful participation in the individualized education program (IEP) decision-making process by failing to have in attendance pertinent a speech and language pathologist at the February 16, 2012 IEP meeting? Student’s proposed remedy is that Student receive compensatory education in the amount of (1) 105 hours of tutoring by a nonpublic agency (NPA) within a two year period to compensate for missing instruction in science and social studies, and (2) 40 hours of individualized speech and language therapy. 1. Student is a 12 year-old boy. He currently lives with his Parents within the geographical boundary of the Temecula Valley Unified School District (District). At the age of six, Student was diagnosed with an autistic disorder. Since April 2006, Student has been eligible for special education under the primary category of autistic-like behaviors and the secondary category of speech or language impairment. He is currently a seventh grader at the District’s Garner Middle School. 2. During school year 2010-2011, Student attended the special day class (SDC) taught by Gwen Riley at Pauba Valley Elementary School (Pauba). Ms. Riley’s class was a combined third, fourth and fifth grades. As part of his IEP, Student was to mainstream at lunch, library, computer lab, field trips, art program, science, social studies and physical education. Student was given a modified curriculum in his science and social studies classes. 3. 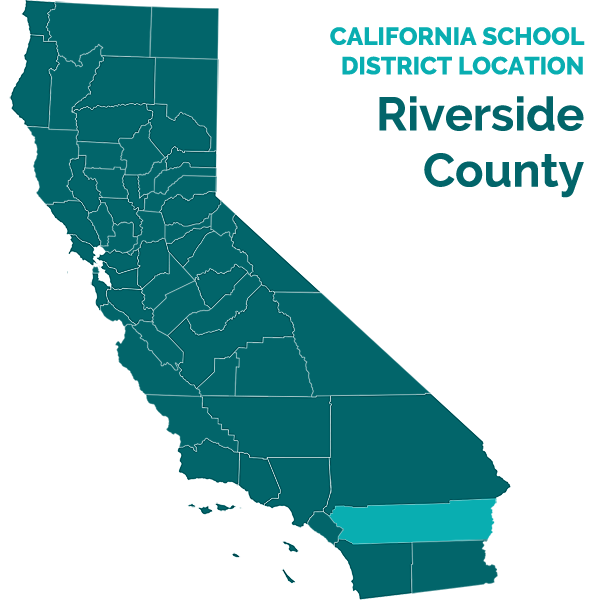 California students in the sixth grade are required to be instructed in the areas of social studies and science. (Ed. Code, § 51210, subd. (c) and (d).) The California Department of Education has adopted sixth grade curriculum standards requiring instruction in science with a focus on earth science and in social studies with a focus on world history and geography in the area of ancient civilizations. 4. Ms. Riley has a master’s degree in special education and has taught special education for over 20 years with the last three years at Pauba. She described Student as a curious child who needs skills to be broken down, visual manipulation, and repetition to learn. As part of his program, Student was given 30 minute pull-out LAS service in a small group once per week. Ms. Riley was Student’s teacher for three years at Pauba. 5. Ms. Riley, who was a member of Student’s IEP team while he was in her class, stated that his placement in general education courses for science and social studies (taught by Linda Raymond) was not only to teach the California core curriculum in those subjects but also to allow Student mainstreaming opportunities to work on social skills. The curriculum for these classes was modified for her special education students. Ms. Riley would pre-teach the concepts prior to her class joining Ms. Raymond’s class. After instruction from Ms. Raymond, Ms. Riley would then review the concepts learned to permit Student, and others, to learn the material. Student received grades of one (does not meet standards of performance) in math, language arts, science and writing for each trimester of his fifth grade year. He received a two (minimal performance) and then ones for social studies and a two for each trimester in reading. Ms. Riley explained that the grades were based on grade standards which were not modified. Student was pulled out of class to receive LAS services in a group of one or two other children. 2 “Grade-level proficiency” refers to the level of knowledge and degree of mastery of the California content standards for each academic area tested. 6. Student took the California Modified Assessment (CMA) in his fourth and fifth grade years. The CMA is given to students who have an IEP whose disabilities preclude them from achieving grade-level proficiency in the state content standards. 2 In fourth grade, Student tested “proficient” in language arts and “below basic” in math. In fifth grade, Student tested “below basic” in both language arts and math while scoring “proficient” in science. 7. Because of his home address, Student was scheduled to attend Vail Ranch Middle School (VRMS) for sixth grade. Father opted to not schedule a transition meeting through Ms. Riley at VRMS as Father hoped Student would transfer to Gardner Middle School (Gardner). Father had spoken to a number of parents who recommended that he would be happier at Gardner since the Gardner staff is more “collaborative” with parents and not as rigid as compared to the VRMS teachers. 8. Student’s annual IEP meeting was held on February 17, 2011, at Pauba. Father attended on behalf of Student. District attendees were Ms. Riley; Kristen Iven, administrative designee; Ms. Raymond, general education teacher; and Krista Lamphere, speech and language pathologist (SLP). The IEP team reviewed Student’s progress on the prior year goals, his present levels of performance, and adopted nine goals; of which three were in math, three in reading, two in writing, and one for communication. Student’s communication goal had as a baseline that he “often needs prompting to use appropriate social language in unstructured settings.” Student’s goal was within one year he would “independently generate appropriate social language with peers in situations where he perceives that the peer is not responding in an acceptable manner during unstructured activities in three out of five opportunities as measured by observational data.” Additionally, Student had five classroom goals which addressed his language deficits in making predictions, making inferences, and grammar. 3 The IEP section “Education Setting,” which stated opportunities for mainstreaming, was not limited by date. Thus, the mainstreaming listed was to be for the entire period that the IEP was implemented. 9. The District’s FAPE offer, as stated in the sections titled “Special Education and Services” and “Educational Setting,” was for Student (a) to continue in a SDC for 224 minutes per day for the remainder of Student’s fifth grade; (b) for SDC in the sixth grade at middle school to include language arts, language arts intervention, math, and math intervention; and (c) for LAS service for a weekly 30 minute group session. The offer called for 62 percent of Student’s time to be outside the regular class and extracurricular and nonacademic activities with 38 percent of time in regular class and extracurricular and nonacademic activities. Student would not participate in the general education environment in reading, writing and math. 3 Student’s participation in “non-academic activities” was in “lunch, library, computer lab, field trips, art program, garden, science, social studies, and physical education.” (Emphasis added.) 4 Father signed and consented to the IEP on February 17, 2011. 10. Father testified that no one at the IEP meeting described the “intervention model” used in the sixth grade SDC at VRMS, where Student was scheduled to attend based on his residence address nor was he informed that Student would not be receiving science and social studies in a general education class with the modified curriculum or in the SDC. The IEP document for this meeting does not include any mention or explanation of the VRMS program. Ms. Riley testified that she had no specific recollection of the IEP meeting discussions. Thus, Father’s testimony that no one from the District informed him what the VRMS SDC “intervention model” comprised, including that Student would not receive instruction in either science or social studies, was given more weight by the ALJ. 11. Student was placed in a SDC taught by Maureen Nixon. During the first two months of 2011-2012 school year, the class comprised approximately 19 children, which was later reduced to about 13 after an additional SDC was organized in October or early November 2011. Ms. Nixon earned a B.A. in communication disorders in 1976 from Marywood University and a M.S. in special education from California Baptist University in 2001. She has California multiple subject and learning disorder with autism authorization credentials. Ms. Nixon also has a speech corrections certification from another state. She was a speech and language therapist in New Jersey (1978-1981) and for the Riverside Unified School District (1996-1997). Ms. Nixon has been a special education teacher for 14 years at VRMS. 12. Starting with school year 2009-2010, the District adopted at VRMS an “intervention model” curriculum for Ms. Nixon’s SDC. The sixth grade curriculum utilized by Ms. Nixon provided instruction only in math and language arts. The time which would have been spent on science and social studies was replaced by additional instruction in math and language arts. The purpose in adopting the intervention model was to raise the low levels of the students’ English and math levels. Ms. Nixon indicated that her class would have mainstreaming opportunities during lunch, school activities, keyboarding class, home economics, and physical education. As to the parallel SDC at Gardner, the curriculum included science and social studies. 13. Father was proactive as it relates to Student’s education, especially academics, with a goal that Student would be able to receive a high school diploma and attend college. Student’s parents would work on lessons at home to mirror what was being taught at school. Father volunteered to help at school including joining the Watch Dog program, which were male volunteers assisting in campus safety, supervision of activities and tutoring. Father was asked to resign, after three weeks, from the program because he was constantly visiting his son’s class instead of being where he was assigned. 14. Father communicated frequently with Ms. Nixon by email. On September 21, 2011, Father emailed Ms. Nixon that parents were working on Student’s reading skills and giving Student extra math work. On September 26, 2011, Ms. Nixon responded to Father by describing what the class was then working on and that Student seemed “frazzled” working on division with remainders. Father responded on September 28, 2011, demanding that Ms. Nixon provide “specifics” as to Student’s progress academically, socially, behaviorally, in verbal and physical stimming, and reading. Father also stated he did not want “pre canned (sic) appeasement email responses.” Father also commented in emails that Student was regressing; the academic load was harder in the fifth grade class; and that Ms. Nixon was not utilizing proper tools and methods to ensure Student would be better prepared for standardized testing and to excel in the future. Father’s tone in his emails was aggressive and rude. 15. Because of the contentious emails, a meeting was held on or about October 24, 2011, with Ms. Nixon; Father; Theresa Sester, Student’s advocate; and Kevin Groepper, the VRMS principal. Father reviewed the SDC schedule and his son’s books and saw that the SDC curriculum did not include science and social studies. At this meeting, Father brought up his objection that the SDC curriculum omitted science and social studies, which were part of future standardized testing and required for high school graduation. Father demanded that Student be instructed in science and social studies. He requested that Student be placed in general education classes for science and social studies with aide support. Father was informed that a one-to-aide was not available to accompany Student to general education classes for science and social studies. 5 One of Ms. Nixon’s students also attended a general education class for science and social studies. 16. Ms. Nixon and Mr. Groepper testified that they discussed the possibility of Student attending Cliff Barrowcliff’s SDC for science and social studies. The Barrowcliff SDC was similar in academic level with Ms. Nixon’s class and was populated with students with multiple disabilities including attention disorders, emotional disturbance, and autism. In fact, several of Ms. Nixon’s students attended the Barrowcliff class for science and social studies. 5 Father testified that no such offer was made until the December 7, 2011 IEP meeting. Mr. Barrowcliff, who supervised the Watch Dog program, testified that he and Father were friendly, and Father had visited his class on three occasions prior to the December 7, 2011 IEP. Mr. Barrowcliff recalled that the only conversations between him and Father regarded the on-going problems between Father and Ms. Nixon. The transcript and notes to the December 7, 2011 IEP meeting reflect that staff would contact the other SDC teacher regarding having Student attend the other SDC for science and social studies and that Father requested an opportunity to observe the Barrowcliff class. (See Factual Findings 19 through 21.) Additionally, emails between Father and Mr. Groepper on December 11 and 12, 2011, discuss Father visiting the Barrowcliff class to observe instruction in science and social studies. The ALJ found Father’s testimony credible as his testimony was detailed as opposed to the testimony of Ms. Nixon, Mr. Barrowcliff and Mr. Groepper; the IEP meeting notes and transcript corroborated his testimony; as does the December 11-12, 2011 email exchange. Thus, the ALJ finds that the District did not offer to place Student in the Barrowcliff SDC for instruction in science and social studies prior to the December 7, 2011 IEP meeting. 17. Student’s LAS services were provided by Michelle Cooper, the SLP assigned to VRMS. Ms. Cooper conducted a social skills session for 51 minutes once weekly in Ms. Nixon’s classroom. The class comprised eight students. Two of the students had no speech and language goals. The group was designed to work on pragmatics which included listening comprehension, non-literal language, facial expression recognition, figurative language, intonation patterns, use and understanding of idioms, turn taking, and responding appropriately to conversational topics. Additionally, non-literal language (which includes inferences) and grammar were also covered in the SDC language arts curriculum. Ms. Cooper was also active in the SDC and would also observe her students, including Student, outside the SDC classroom. 18. Ms. Cooper would begin the 51 minute session by discussing and modeling a concept (i.e., introductions). The group would then be broken into smaller groups to reinforce and practice the skill taught. Ms. Cooper was assisted by Ms. Nixon and classroom aides. Ms. Cooper opined that the group of eight would lead to an “authentic social experience” which permitted generalization of skills. 19. Father requested an IEP meeting without giving the reasons for the meeting, which was held on December 7, 2011. In attendance were Father; Ms. Nixon; Mr. Groepper; Ms. Teahan, Student’s physical education teacher acting as the general education teacher; Breck Smith, a District program specialist; Ms. Cooper; and Ms. Sester. After introductions were made and a procedural rights form was provided, Father was asked why he requested the meeting. Father explained that he was concerned with homework and the lack of science and social studies in the curriculum utilized by Ms. Nixon. 20. During the majority of the meeting, the team discussed the emails exchanged between Ms. Nixon and Father, as well as how their contentious relationship was affecting Student. Father said he was seeking help as to the strategies and modalities he could use when helping Student with his homework. Ms. Nixon, Mr. Groepper, and Ms. Cooper noted that Student seemed “stressed” as he was making comments about the teacher being fired, which may result from Student overhearing his parents talking. Ms. Nixon commented that Student’s comments of her being fired had upset the class which distracted the class. Ms. Nixon also noted she believed that Student was being “overwhelmed” with the amount of work he was doing at home. At Father’s request, the team adopted a change to Student’s communication goal to add that the SLP would be responsible for collecting data as to Student’s progress in meeting the goal. 21. Father expressed his concern that the SDC curriculum did not permit Student to have access to science and social studies. Ms. Nixon opined that Student was not at the level to participate in a collaborative science or social studies class; and should Student be placed in a general education class for those subjects with modifications, Student would become frustrated and stressed. Ms. Sester requested that Student be transferred to Gardner which incorporates science and social studies in the SDC curriculum. The team recommended Father seek transfer through the District’s transfer procedures. When Ms. Sester insisted that the transfer was an IEP issue because it related to Student’s instructional program, Ms. Smith and Mr. Groepper stated that it was not in the province of the IEP team to okay a transfer. Father was also informed that the Barrowcliff SDC did include science and social studies and this was a possible change which could be made. Father was told that VRMS staff would communicate with “the SDC teacher” regarding Student entering his class for science and social studies. After conferring with the teacher, staff “would respond to the parent.” Ms. Sester also inquired as to the number of students in the Barrowcliff class. Father requested time to observe that class. Additionally at Father’s request, the team agreed to amend Student’s communication goal by listing the SLP as responsible for the goal. 22. Father was presented with an assessment plan to permit the District to conduct a triennial assessment. Parents’ consent was obtained on January 10, 2012. 23. Following the December 7, 2011 IEP meeting, Father filed a compliance complaint with the Office of Civil Rights of the United States Department of Education (OCR) contending that the District’s failure to provide disabled students in the Nixon SDC instruction in state mandated core curriculum was discriminatory. The District and the OCR reached a settlement of the compliance complaint where the District was obligated to offer science and social studies to students in the Nixon SDC. 25. On February 2, 2012, Student’s IEP team reconvened for his annual IEP meeting. Father voiced concerns that Student was not receiving instruction in science and social studies following the OCR complaint outcome. Father was informed that Ms. Nixon had earlier sent home via Student’s backpack an IEP addendum adding science and social studies to Student’s current IEP (the 2011 IEP), and that no response had been received. Father stated he never received it, and he was provided with a new copy. Father requested information on the curriculum to be taught in the two courses. Mr. Groepper and Ms. Nixon explained that they were in the process of developing one, although the textbooks which would be used were available for inspection at the school library. To compensate for the instruction in science and social studies missed, Ms. Nixon and Ms. Groepper stated that the class would receive additional instruction during a 26 minute daily period at the end of the school day. samples. Ms. Cooper recommended four speech-language related goals. The first goal was that Student would provide appropriate supportive statements in a given social situation with 70 percent accuracy on seven of 10 trials. Student’s baseline was he able to make supportive statements with 30 percent accuracy. The second goal, in the area of comprehension, was that Student would correctly respond, verbally or in writing, to a comprehension question eliminating irrelevant facts in four of five trials with 80 percent success and with no more than one verbal prompt. The baseline for this goal was that Student would respond to a comprehension question with irrelevant facts in six of 10 attempts with 40 percent accuracy. The third goal was in the area of pragmatics which required Student to politely protest appropriately or ignore another’s behavior during a spontaneous negative social interaction in a functional setting (i.e., lunch or break period) in four out of five observed instances. A fourth goal was in the area of verbal repetitions. This goal required Student to reduce selfstimulatory verbal behavior to extinction with no more than two verbal or visual reminders in a period in four out of five trials. 27 The team agreed to continue the annual meeting to a later date to complete its work. By email dated February 8, 2012, Father agreed with Ms. Nixon to continue the annual meeting to the morning of February 16, 2012. Ms. Nixon failed to inform Father that Ms. Cooper would be unavailable as she was assigned to a different school on that day. On February 13, 2012, the District forwarded to Father a written notice of the continued meeting which listed those members of the IEP team who were to attend. The notice did not include the SLP, Ms. Cooper, as attending. 28. On February 16, 2012, Student’s IEP team reconvened the annual IEP meeting without the presence of Ms. Cooper. Ms. Nixon discussed proposed goals and established baselines by reviewing Student’s work and class performance. Father requested that there be additional communication goals which are more specific and cover generalization of social skills outside of the classroom environment. Ms. Nixon agreed to forward Father’s requests to Ms. Cooper. Ms. Nixon also reviewed strategies and prompts she utilized with Student in class. Per Father’s request at the February 2, 2012 meeting, Ms. Nixon gave Father a written curriculum for science and social studies. Father was dissatisfied with the curriculum and requested a meeting with the District curriculum director. 29. Father also inquired how the District was proposing to make up for the missed instruction in science and social studies. Father voiced his hope that Student would be able to transition to general education classes for science and social studies as he had done successfully in fifth grade. Ms. Nixon opined that she did not feel Student could succeed in a general education class even with modifications. Ms. Nixon suggested that Father visit a general education as well as her class. 30. The District members made an offer of FAPE of specialized academic instruction in a SDC for 204 minutes daily; group language and speech for 30 minutes 25 times per year; and autism consult for general education and SDC for between 10 and 30 minutes per week. Parents did not consent to the District’s offer. 31. On February 27, 2012, Ms. Smith had forwarded to Father a document captioned “Prior Written Notice” (PWN) as to the District IEP team decision to deny Father’s request to transfer to Gardner, an independent education evaluation to determine if Student met his 2011 annual goals, and to be provided with the SDC science and social studies curriculum. As to the transfer request, the PWN states that such a transfer is not an IEP decision and Student must go through the District’s procedures for an intra-district transfer. As to the request for an independent evaluation as to goal progress, the PWN states that Student’s progress was discussed and based on data presented at the IEP meetings. As to Father’s request for the science and social studies SDC curriculum, the PWN notes that the request had been granted and Father was permitted to review the textbooks and the curriculum standards had already been provided to him. 32. Ms. Cooper has 16 years experience as a SLP. She received a B.S. in communication disorders from Minot State University in 1997 and her M.S. in clinical speech pathology in 2011 from Northern Arizona University. Since 2000, she has maintained a Certificate in Clinical Competency (CCC) and possesses a California certification as a speech language hearing specialist. From 1997 through 2001, Ms. Cooper worked as a SLP with the Imperial County Unified School District. Since 2001, she has been a SLP with the District. Ms. Cooper estimated that she has conducted at least 25 formal LAS assessments each year and hundreds during her career. Since school year 2010-2011, Ms. Cooper has provided LAS services to Student. Ms. Cooper conducted her assessment as part of the District’s multi-disciplinary triennial assessment. Ms. Cooper authored a written report dated February 24, 2012. 33. Ms. Cooper’s assessment was done over an eight-day period and consisted of a review of Student’s records, review of prior LAS evaluations, clinical observation, progress review and feedback from Student’s parents and teacher. Ms. Cooper also reviewed the District’s psycho-educational assessment which scored Student’s IQ at 88, which placed him in the12th percentile. In the areas of articulation/phonology, voice and fluency, Ms. Cooper assessed Student using observations rather than standardized testing. Student’s voice was “observed to be age and gender appropriate.” Ms. Cooper observed that Student used inflection and emotion in his speech and did not talk in a monotone. Student’s fluency was observed to be within normal limits. As to articulation/phonology, Student’s articulation was normal, except Ms. Cooper noted that Student had a bilateral lisp of some phonemes of speech due to the absence of upper cuspid and bicuspid teeth. Ms. Cooper recommended that Student’s articulation be monitored to ensure normal sound development when Student’s permanent teeth come in. Because there were no deficits in these areas noted, Ms. Cooper did not administer standardized testing. 34. In the area of language, Ms. Cooper administered seven standardized tests as well as utilizing informal assessments. Standard scores at 69 and below are in the “extremely low” range, 70 to 79 are “border line” 80 to 89 as “below average” 90 to 109 are “average,” and above 109 are “above average.” Student was given the Receptive One-Word Picture Vocabulary Test (RPVT) and the Expressive One-Word Vocabulary Test (EPVT). The RVPT measures an individual’s ability to name objects, actions, and concepts, while the EPVT measures the ability to recognize objects, actions, and concepts. Student earned standard scores of 103 in the RVPT and 107 in the EVPT. Student scored a 109 in the Test of Auditory Reasoning and Processing Skills which measures how a child thinks including his ability to reason, develop ideas, draw inferences, solve problems and acquire knowledge. 35. In the Listening Comprehension Test 2 (LCT-2), Student received a total standard score of 93 with subtest scores of main idea at 90; details at 103; reasoning at 77; vocabulary at 95; and understanding messages at 104. These results indicate that Student’s overall listening comprehension is average. The reasoning subtest measures a child’s ability to make inferences, explore beliefs and values, compare and contrast, make decisions, draw conclusions, and interpret data. These are components of pragmatics, which is Student’s main area of deficit. 36. The Clinical Evaluation of Language Fundamentals (CELF) measures a student’s strengths and weaknesses in communication. Student scored in the average to below average ranges in the CELF and its subtests. Student received a standard score of 82 in core language with 87 in receptive language, 87 in expressive language, 92 in language content and 80 in language memory. Student’s area of strength was understanding the content of language while language memory was an area of weakness. 37. The Comprehensive Assessment of Spoken Language (CASL) assesses a student’s oral language processing, word use, grammatical structure, ability to use language for higher level tasks, and knowledge and use of language in communicative contexts. Student received subtest standard scores of 99 in antonyms, 102 in grammatical morphemes, 89 in sentence comprehension, 80 in non-literal language, and 66 in pragmatic judgment with a core language score of 83. Student’s scores in the area of figurative/pragmatic language skills were significantly below his scores in literal language skills. 38. The Social Language Development Test: Elementary (SLDTE) is a test of social language skills for adolescents. The test focuses on taking perspectives; making correct inferences; solving problems with peers; interpreting social language; and understanding idioms, irony and sarcasm. Student received a total standard score of 88 with subtest standard scores of 99 in making inferences, 95 in interpersonal negotiation, 95 in multiple interpretations, and 69 in supporting peers. Student’s total test score places him in the average range of functioning but the supporting peers subtest that requires Student to make supportive statements in social situations was significantly below average. 39. Ms. Nixon and Parents completed the CELF pragmatics profile which identifies specific tasks relating to rituals and conversational skills. Ms. Nixon scored Student at 129 and Parents scored him at 104. A score below 136 indicates inadequate communication abilities. Ms. Nixon, in an interview with Ms. Cooper, indicated that Student struggled to make positive comments to peers, was often frustrated communicating about the behavior of peers, engaged in self talk and had extreme reactions to unfamiliar female students. Father, in a questionnaire, indicated that Student could function in structured social situations with a little prompting; but in unstructured social situations, Student was unable to read environmental or situational cues appropriately. 40. Ms. Cooper noted that Student was able to maintain conversations for more than five exchanges during the assessment, although at times, he was unable to stay on an appropriate topic. She also noted that Student was unable to read nonverbal cues which were intended to redirect conversational topic. 41. Ms. Cooper summarized that Student “exhibits a disorder in the areas of pragmatic language in comparison to his cognitive ability.” Ms. Cooper recommended that Student “will require more cues, models, examples, explanations, and checks for understanding than the typical student.” She concluded that Student’s delays in pragmatic language development “may impact” Student’s educational performance. Ms. Cooper orally proposed an additional goal to be added that would require Student to be able to identify context clues and to infer unstated information when given a short paragraph with 70 percent accuracy over three sessions with minimum cues. Neither Father nor his advocate replied to the proposed goal. At the end of the meeting, Ms. Cooper suggested that the team schedule another date to reconvene the IEP meeting as the team had not finished. Ms. Sester then informed the team that Student would be shortly transferring to Gardner as Parents had moved to the Gardner attendance zone area. Ms. Sester also informed the team that Father planned to have “a lot of independent assessments” to determine if Student was actually meeting his IEP goals. Ms. Sester also stated that after these assessments were completed, Father would schedule an IEP meeting at Gardner. 43. Student transferred to Gardner on April 11, 2012. Marie Owens, a District resource specialist at Gardner, attempted to schedule a continuation of the annual and triennial IEP meetings. Father told her he would need to get back to her as he wanted to obtain some independent assessments first. At the time the hearing commenced, the IEP meeting had not occurred. 44. Parents retained Lynn Hardy-Lukes of Temecula Valley Therapy Services (TVTS) to conduct a pediatric speech-language evaluation. Ms. Lukes received a B.S. in speech and hearing sciences in 1988 from Texas Tech University and a M.S. in communication disorders in 1990 from the University of Texas at Dallas. She possesses a California state SLP license, and since 1991, she has maintained her CCC. Since 1990, she has been employed as a SLP in private practice; except for from 2005 through 2007, Ms. Lukes was a SLP with the District at the Paloma Elementary School. She estimates that she conducted approximately 30 speech language assessments during her time with the District. From 2007 through 2010, Ms. Lukes provided speech services for middle school age children at Big Springs Education Center, a nonpublic school in Murrieta, California. In 2008, Ms. Lukes founded, TVTS and continues as its clinical director. 6 Father did not provide to Ms. Lukes copies of either the Cooper LAS assessment or the psycho-educational assessment reviewed at the March 8, 2012 IEP meeting or earlier LAS assessments. 45. Ms. Lukes conducted her evaluation on two days (March 15, 2012, and another day the following week), although her report states the evaluation was on a single day, March 15, 2012. The report, which was dated March 15, 2012, actually was written about two weeks later. The first assessment day was for one hour and 30 minutes and was stopped because Student appeared fatigued. The second day assessment lasted approximately one hour. As part of her preparation, Ms. Lukes reviewed material provided by Father comprising the February 2, 2012 IEP document; samples of Student’s school work; and emails from Father to Ms. Nixon and Mr. Groepper dated February 28, 2012. 6 Father provided information as to how Student was performing in Ms. Nixon’s class. She also interviewed Parents as part of the intake process which included a medical history. Ms. Lukes never observed Student in the classroom setting nor spoke with Ms. Cooper or Ms. Nixon or anyone else from the District. 46. In conducting her evaluation, Ms. Lukes noted behavioral observations, completed an informal speech assessment, and administered standardized tests. The standardized tests administered were the Test of Language Development-Intermediate (TOLD-I: 4), Test of Problem Solving: Revised (TOPS-R), and the Expressive Vocabulary Test (EVT-2). During the evaluation, Student had one-sided conversations with the examiner and appeared to be unable to interpret the listener’s prospective or body language. In the EVT-2, which tests semantics, Student scored in the “average” range with a standard score of 99. 8 Ms. Lukes did not state whether the recommended speech-language therapy should be individually or in group sessions. 48. In the TOPS-R, Student received a standard score of below 55 which placed him in the third percentile and was in the “severe” range. This test is administered by showing the examinee pictures and then being asked questions about the pictures. Student had difficulty in inferring details and seeing the “big picture.” This illustrated Student’s social problem solving deficit. 49. The TOLD-I:4 is scored with a Total Composite for spoken language and five composite scores with six subtests. Student’s Total Composite was in the “poor” range with a standard score of 78 which placed him in the seventh percentile. His composite scores were “average” in semantics (standard score of 90). He scored “below average” in listening (86) and speaking (86), while scoring “poor” in organizing (76) and grammar (72). On the individual subtests, Student scored in the “average” range in picture vocabulary and multiple meanings, “below average” in morphological comprehension and relational vocabulary, and “poor” in sentence combining and word ordering. Ms. Lukes concluded that Student was impaired in the areas of pragmatic language, auditory comprehension, and verbal expression. 51. Ms. Lukes also recommended treatment goals with Student’s long-term goal for him “to demonstrate age-appropriate speech and language skills.” Her recommended short-term goals for Student did not address the “mild voice disorder.” The goals were as to “WH” questions, comprehending non-literal language, comprehending age appropriate paragraphs, demonstrating age-appropriate turn taking, appropriate topic maintenance, and demonstrating appropriate perspective taking during structured role playing of different social situations. 52. Following her evaluation, Ms. Lukes began providing speech and language services to Student which Ms. Lukes described as being “medical” in nature. These services were paid through Student’s health insurance. 53. Student’s speech expert, Ms. Lukes, testified regarding two issues: (1) the appropriateness of the language and speech services provided to Student in the 2011-2012 school year while attending VRMS, and (2) the appropriateness of the speech and language triennial assessment. For the reasons discussed below, the ALJ gave greater weight to the testimony of Ms. Cooper than that of Ms. Lukes. 54. Ms. Lukes conceded that Ms. Cooper had followed test protocols appropriately, had scored the standardized tests correctly, and reported the core scores in a “sufficient” manner. She was critical of Ms. Cooper’s report in that she omitted mention of progress made by Student since the last assessment and that Ms. Cooper failed to report subtest scores of the CELF. As to omitting Student’s progress since the last assessment, such information was available to Parents and the IEP team as each annual IEP sets forth Student’s present levels of performance and progress on meeting goals. She also opined that the TARPS was not an accurate test to measure auditory reasoning and processing skills as it relies too much on rote rather than problem solving. Ms. Lukes failed to cite any authority to corroborate her opinion. 9 These are all related to pragmatics. 10 ASHA is the professional, scientific and credentialing agency for audiologists and speech-language pathologists. 55. Lukes was critical of Ms. Cooper taking into account Student’s IQ in analyzing the test results especially as it relates to the areas of semantics, syntax, and morphology. 9 Ms. Lukes contended that using IQ scores is not appropriate because speech and language difficulties can have an effect to lower IQ scores. In support, Ms. Lukes stated that the American Speech-Language Hearing Association (ASHA) 10 does not accept cognitive referencing in conducting speech-language evaluations. Ms. Lukes failed to offer any corroboration to support this contention. 56. Ms. Lukes also was critical of the failure of Ms. Cooper to diagnose that Student presented with a mild voice disorder characterized by a flat, monotone pitch with little variance in prosody. Ms. Cooper, during her assessment and while providing speech and language services to Student, did not observe evidence of a voice disorder. Ms. Cooper conferred with Student’s SLP at Pauba, Krista Lamphere, at the beginning of school year 2011-2012, and there was no mention that Student had any such disorder. Additionally, Ms. Cooper interviewed Ms. Nixon for her assessment, often conferred with her, and had much contact with Student throughout fall 2011, and there was no evidence of Student having a voice disorder as Ms. Cooper personally observed Student using appropriate inflection and emotion during conversations. Ms. Lukes saw Student on two days for a total of about three to four hours. On the first day, Student’s testing was stopped after approximately one and a half to two hours because he was fatigued which may have had an effect on Student’s flat tone. She did not conduct any observations outside of her clinic. The ALJ gave great weight to Ms. Cooper’s testimony which was corroborated by the weight of the evidence testimony that Student did not demonstrate a mild voice disorder. 57. Ms. Cooper was critical of the Lukes assessment in that it omitted any information as to classroom performance, used a single test to diagnose problems, Ms. Lukes’ observations as to Student’s pragmatic skills were unreliable, and Ms. Lukes used a test which was no longer valid. It is undisputed that Ms. Lukes failed to make any observations outside of her clinical setting nor did she attempt to confer with either Ms. Nixon or Ms. Cooper. Although the skills tested on the TOPS 3 Elementary are necessary for developing social competence, it is not primarily a test of pragmatic or social language skills. Rather, it should be part of a battery of tests/observations used to assess pragmatic competence. Here, Ms. Lukes did not administer a battery of tests as to pragmatics and social communication, nor make observations to support the accuracy of the results from the TOPS-R, had the test been valid. 59. Ms. Lukes used a report form which contains boxes to be checked to indicate an examinee’s performance. Under pragmatics, Ms. Lukes indicated that Student does not do the following: get listener’s attention, initiates activity, reacts to humor, and takes turn. Ms. Cooper had constantly observed Student doing all of these, plus she noted that Student has a good sense of humor. Ms. Lukes’ conclusions are based on minimum contact with Student as opposed to Ms. Cooper who had instructed Student for about seven months and had frequent contact with him at school. The ALJ gave greater weight to the testimony of Ms. Cooper for those reasons. 60. Ms. Lukes opined that the level of LAS services provided to Student was not appropriate. Ms. Lukes recommended that Student should have received one-to-one speech therapy for his voice deficit. She also opined that Student should have received a one-to-one session followed by small group sessions to deal with his pragmatic deficits. As to the Lukes recommendation regarding voice, the evidence failed to support Ms. Lukes’ contention that Student had a mild voice disorder as discussed above. Ms. Lukes offered no recognized authority to support her opinion that Student’s social communication deficits require a oneto-one session as well as a group session. Ms. Lukes did acknowledge that Student should be given speech therapy in a group of no more than two because he has attention issues. Again, Ms. Lukes failed to cite any authority to corroborate her opinion. Ms. Cooper opined that the social skills followed by the small group breakouts permits Student to learn and then generalize what he learned. At the IEP meetings, there was no dispute that Student was meeting his annual goals which demonstrates that Student was making educational progress as to his LAS deficits. Thus, the LAS services provided by the District during the 2011-2012 school year were appropriate. 61. In April 2012, the District decided to offer the Achieve 3000 program to compensate for the missed social studies and science instruction. The Achieve 3000 is an on-line computer program which provides instruction tailored to an individual’s reading level. The program uses many visuals, which is effective with children on the autistic spectrum, and a writing component. 11 The letter was a form letter sent to the parents of all students in Ms. Nixon’s class. 12 The District on October 26, 2012, requested that the ALJ take official notice of the letter. Student did not file a responsive pleading. On November 1, 2012, the ALJ issued a written order granting the request. 63. On June 6, 2012, a meeting was held with Father, Ms. Sester, Mr. Groepper, and Sandy McKay, a District administrator. Ms. McKay explained the Achieve 3000 program that could be accessed during the summer either at school or at home under the supervision of a special education teacher. Father was concerned that this program may not be appropriate for Student because of his attention problems. Father preferred that Student receive direct individual instruction from a special education teacher. The District personnel believed that Father was not interested in the Achieve 3000. Father said he would consider it and get back to the District. Ms. Sester and Father believed that the offer of this program was “take it or leave it” and that no other accommodations or modifications could be discussed later. Father never contacted the District as to whether the Achieve 3000 was acceptable. 64. On October 4, 2012, Arthur Zeidman, Director of the San Francisco Enforcement Office of the OCR, forwarded a letter to the District superintendent. 12 Mr. Zeidman noted that the Achieve 3000 was “aligned with the Common Core Standards for Science and Social Studies,” set-up assistance was offered, and a special education teacher would oversee and monitor students’ progress and be the primary contact for parents. Mr. Zeidman concluded that the District met its obligations under the settlement agreement relating to Father’s OCR complaint. 65. Leslie Huscher testified on behalf of Student as an academic expert relating to compensation for the science and social studies instruction missed during the first semester of school year 2011-2012. Ms. Huscher has a B.A. in liberal studies from Concordia University in Irvine and an M.A. in education from Cal Poly Pomona. She possesses a clear multiple subject teaching credential and a credential in special education. From 1984 through 1990, she was an elementary school teacher. From 1990 through 2001, she was a special day class teacher for elementary and middle school. In 2001, she founded Big Springs Educational Therapy Center and School which provides special education related services and operates a nonpublic school. 67. On March 1, 2012, Father, via email, requested that the District fund independent education evaluations (IEE), which was prior to receiving the District assessment reports. On April 17, 2012, Father, via email to Ms. Smith, renewed his request for District funded IEEs. Ms. Smith responded by email on April 18, 2012, requesting clarification as to what areas Father was requesting IEEs. Ms. Smith, by email, on April 24, 2012, renewed her request for the areas Father wanted to be evaluated. On April 24, 2012, Father responded via email. Father requested IEEs be conducted in the areas assessed by the District during its triennial assessment. On May 11, 2012, Ms. Smith, on behalf of the District, responded by email that the District was granting the request by Father to fund IEEs in LAS and psycho-education. A copy of the email was also forwarded to Father via regular mail. Issue a: Whether the District failed to provide Student a FAPE during the 2011-2012 school year in that the District failed (a) to provide instruction in the core curriculum subjects of science and social studies, and (b) to provide appropriate LAS services? 13 All references to the Code of Federal Regulations are to the 2006 version. Issue a (1): The District failed to provide Student a FAPE by its failure to properly implement the February 17, 2011 IEP by its failure to provide instruction in science and social studies. 14. Student contends that he was denied a FAPE because the February 17, 2011 IEP was not implemented because he was not given instruction in science and social studies while attending VRMS as provided in Student’s IEP. The District contends that Student has not met his burden to demonstrate that he was denied a FAPE. Issue a (2): The District provided appropriate LAS services pursuant to the February 17, 2011 IEP. 16. Student alleges that the District deprived Student of a FAPE in the February 17, 2011 IEP by failing to provide him with appropriate LAS services. Student contends that the District altered the delivery of LAS services from the small group pull-out services required in his IEP and provided at Pauba to a social skills class format at VRMS, which deprived Student from receiving small group instruction. Secondly, Student contends that he should have received one individual therapy session and a small group session to address his social skills therapy. Thirdly, Student contends that the LAS services were not appropriate because Student’s deficits in syntax, grammar, and semantics as well as his voice disorder were not addressed. 17. The District contends that Student’s language deficits were addressed in the areas of syntax, grammar, and semantics through his academic goals and services. The District further contends that Student does not have a voice disorder. As to the delivery of services, the District contends that the delivery of services at VRMS conformed to Student’s IEP. 14 In his closing brief, Student mistakenly contends that the LAS services were provided to a class of 13 to 18, which is based on the size of the entire Nixon class. 15 Interestingly, Student’s counsel never inquired to either Ms. Riley or Ms. Nixon whether they had observed Student with a flat monotone voice with little variation in prosody. Issue b: Whether the District denied Student a FAPE because the District denied Parents meaningful participation in the IEP decision-making process by failing to have in attendance the SLP at the February 16, 2012 IEP? 20. Student contends that the absence of Ms. Cooper at the February 16, 2012 IEP meeting deprived Parents of the right to meaningfully participate in the IEP decision makingprocess. The District admits that Ms. Cooper was not present at the meeting. The District contends that Parents did meaningfully participate in the IEP decision making process. Student failed to meet his burden that the absence of Ms. Cooper from the February 16, 2012 IEP meeting constituted a harmless error. (Student’s Closing Brief at p. 15.) Student specifically contends that Ms. Cooper’s analysis of the test data was inappropriate because she took into account Student’s IQ score. Student alleges that the “inappropriate” LAS assessment prevented the IEP team from properly evaluating the LAS services Student requires to meet his unique needs at the annual and triennial IEP meetings. 28. The District contends that the District LAS assessment was comprehensive, thorough, and utilized standard tests in accordance with best practices. 29. In order to assess or reassess a student, a school district must provide proper notice to the student and his or her parents. (20 U.S.C. § 1414(b)(1); Ed. Code, §56381, subd. (a).) The notice consists of the proposed assessment plan and a copy of parental and procedural rights under the IDEA and state law. (20 U.S.C. § 1414(b)(l); Ed. Code, § 56321, subd. (a).) Here, there is no dispute that the District complied with these requirements. The District’s LAS assessment was appropriate. 1. The District will convene an IEP meeting within 15 business days of the date of this decision to provide Student an opportunity to attend general education class in either social studies or science and to determine what modifications and accommodations Student requires to access said class. 2. The District will provide Student with the Achieve 3000 program during the 2013 extended school year under the supervision of a certified special education teacher as originally proposed. 3. All other requests for relief are denied. Pursuant to California Education Code section 56507, subdivision (d), the hearing decision must indicate the extent to which each party has prevailed on each issue heard and decided. Here, Student prevailed on issue a(1) and the District prevailed on issues a(2), b, and c.